The Pitch - What Is The Google Home Hub? Much of an evangelist as I’ve been for the smart speaker category in the past, I was more than a little skeptical when the world’s most successful smart assistants began their latest pivot to video. In my opinion, that conversational aspect of the smart speaker experience, ephemeral and artificial as it is, is still a major part of what makes these products accessible to less or non-techy users. And, in the face of the massive growth the category has experienced, it’s hard to make an argument for messing with that formula. Nevertheless, that’s exactly what Google are trying to do with the new Home Hub. Dubbed the company’s first smart display, the general gist here is that having a screen - and being to incorporate that extra hardware into the smart assistant experience - opens up new possibilities and enriches existing ones. And after a few weeks of being charmed by Google’s Home Hub, I’m honestly inclined to give the company credit where it’s due. 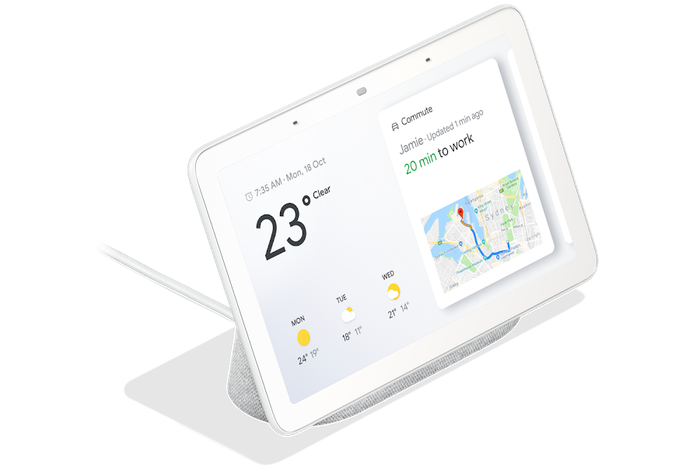 It’s by no means necessary or a must-buy but the Google Home Hub is an incredibly cool and polished piece of tech that foreshadows the company’s vision for an Assistant-led future. In some ways, the Google Home Hub is a very different sort of Smart TV. 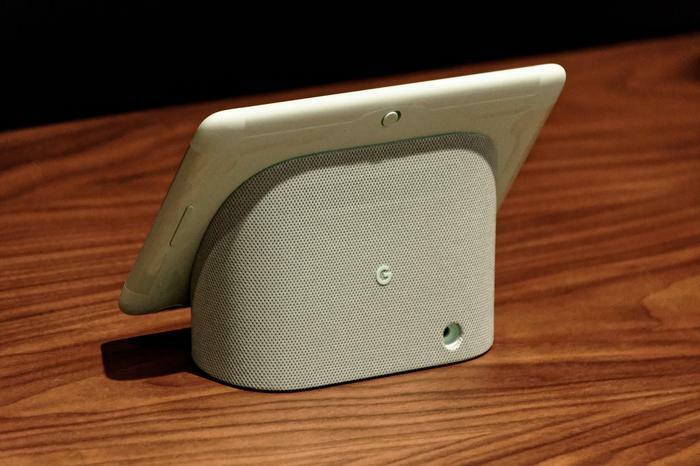 The first thing that you’ll noticed about the Google Home Hub doesn’t look like a speaker. That initial observation might sound almost-contemptuously obvious, but it’s an important one. The Home Hub feels a big step away from what Google have before. Sure, there’s definitely some shared DNA here in the form of mesh-fabric design, but there’s no mistaking the smart display for any of the other Google Home options out there. Where predecessors were more like pods, the Home Hub is more of a podium - with a brightly lit LCD display taking center stage. In terms of the quality of the Home Hub’s screen itself, it’s not particularly exceptional but nor is it especially bad. It’s a little small for my liking but detailed enough that it’s hard to complain. I don’t think I’d want it to be as large as that on the Echo Show, but I would appreciate the option of buying a version of this product with a display that’s slightly larger in size - and I doubt I’m alone. The Home Hub does also feature some built-in speakers. However, much like the regular Google Home and Google Home Mini, they’re not particularly impressive. Again, for the most part, the Home Hub’s display and speakers are innocuous hardware that get the job done. If you’re a stickler for screen (or sound) quality, you might be served looking elsewhere at some of the other smart display options that have emerged in recent months. But if you’re keen to stick with the official - and cheaper - Made By Google option, you’ll probably be able to get by. Performance - What can the Google Home Hub do? 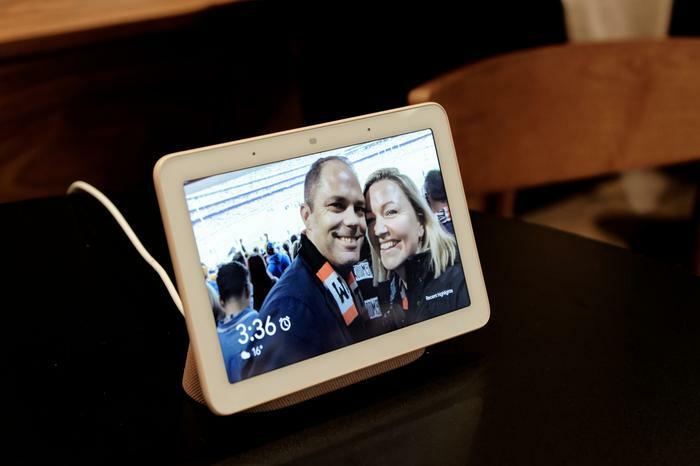 The Google Home Hub’s features are a mix of old and new. Firstly, like every other Assistant-powered smart speaker out there, you can ask the Home Hub questions, tell it to play music, check the weather, set reminders, consult your calendar, listen to news bulletins and interact with both connected smart appliances and compatible third-party services. As with every other Assistant-powered speaker out there - this all technically works, even if some of the seams are still visible. Still, it’s hard not to imagine a world two or three generations down the line where the capabilities of these products have advanced to the point where the accumulated databases and baseline complexity of smart assistants like the Google Assistants has reached a point where interacting with it feels so natural that most people won’t be able to tell that the experience is more of an friendly illusion than it is true artificial intelligence. We’re not quite there yet - but it’s easy to see that latent potential in the Google Home Hub. Nevertheless, all the usual boxes offered by the Assistant experience are ticked here. If you’ve interacted with one of these speakers before, you know what to expect. If you haven’t, be sure to ask the Assistant for a joke now and then. As previously mentioned, the big sell here is that the Home Hub can augment the usually only-audio based smart assistant experience. 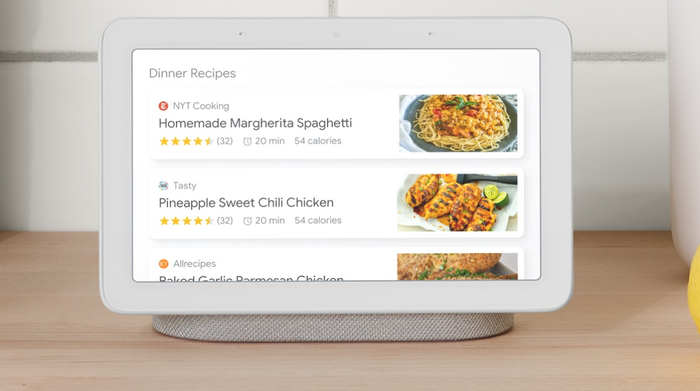 Instead of asking Google to read you a recipe, it can show you that recipe on the Home Hub’s display. Instead of asking Google to tell you the weather, it can show you it. Instead of asking Google how to get to a place, it’ll show you directions in Google Maps. You get the idea. More passively, the Home Hub also doubles as a pretty nice digital photo frame. However, it does assume that you’ve got your photos backed up on Google Photos. If you use another form of cloud storage - you’re out luck on that front. 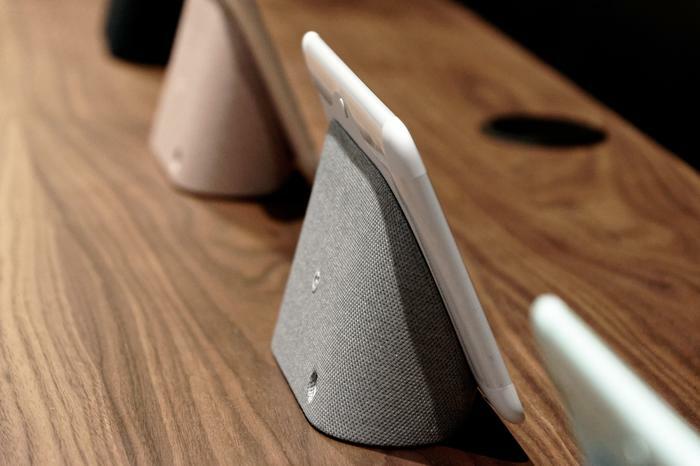 In addition, being tied so closely to the capabilities of the Google Assistant means that the Home Hub does little to amend the Assistant’s existing shortcomings. You can ask it to show you Twitch or Youtube content on the Home Hub’s display but you can’t do the same with other streaming services like Netflix. The one other weakness here is the audio. 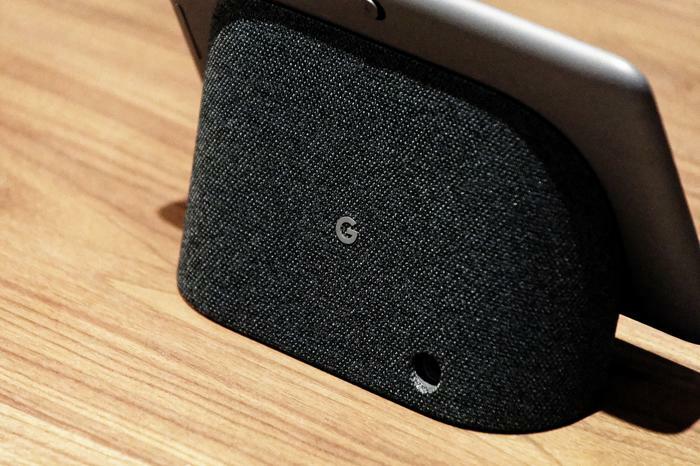 The Google Home Max aside, Google continue to struggle on speaker audio and while the Home Hub does pack a surprising amount of volume into a small form-factor, a lack of fidelity and depth drag down the listening experience from what it could be. As crazy as it might sound, there’s a part of me that wonders what a bigger, bolder version of this idea could look like. If you take a Google Home Hub and blow the screen size up to 50 or 60-inches, you’ve basically got an extra smart Smart TV with full voice control on your hands. And maybe that product is what the future of this category looks like. For now though, the Home Hub is a fine, and reasonably-affordable starting point. The Bottom Line - Should You Buy The Google Home Hub? Even if you’re a smart speaker nut, the Google Home Hub really isn’t a must-have. It does something that the regular Google Home can’t do, but it isn’t a game-changer. However, that being said, if you’re the kind of person who find this new direction for the category to be a compelling one and Google Photos is your cloud of choice, there’s enough going on here for it to sell itself as a good secondary smart speaker or a substitute for your existing Google Home Mini.